ADATA has unveiled its own entry into the 512GB microSD genre – actually, it’s a whole line of XPG microSD cards, which are being targeted at mobile gamers. They come in 128GB, 256GB and 512GB capacities, the exact availability and pricing details will vary by country. 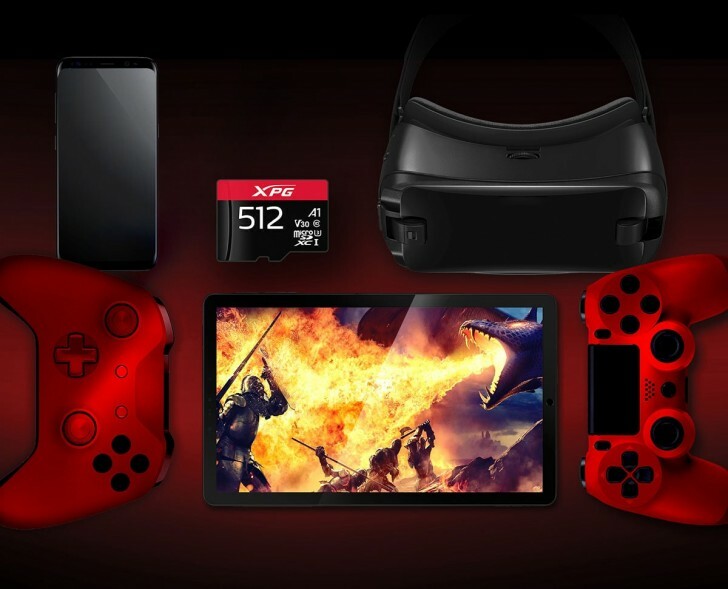 The company sees these cards being used in smartphones, as well as mobile consoles like the Nintendo Switch, mobile VR headsets and other portable devices. The ADATA XPG microSD cards feature Application Performance Class 1 (A1), which guarantees 1,500/500 IOPS for read/write. We don’t mean to be negative, but Lexar has a 512GB card with an A2 rating (4,000/2,000 IOPS). Gamers are a discerning crowd, especially when it comes to performance numbers. ADATA’s suggestions that Android 6.0/7.0 devices can use these cards through Adoptable Storage makes the marketing feel even more out of touch. Anyway, the sequential speed is rated at the usual UHS-I Class 3/V30 (both labels are equivalent). This resolves to a guaranteed sequential write speed of 30MB/s (important for 4K video recording). That’s the minimum, the card’s peak speeds are 85MB/s for sequential writes and 100MB/s for reads.